A few weeks ago I went to the annual Winter Wonderland at Hyde Park for the first time. I got the train in the morning, followed by a 20 minute walk to Hyde Park. I reached there about half an hour after opening and there was already quite a lot of people making the way there. It really did look like a Santa's Grotto with all the signs and stalls everywhere! There was more food places than I could count but there was really limited seating in some places, and none in most. I went with my Sister and we had booked tickets to the Zippos Christmas Circus which cost about £30 for both of us. The circus was so much more fun than I had anticipated! There were a whole host of acrobats who were all wonderful! After the circus we had a look around some stalls although it was getting quite packed! We had hot chocolate and crepes (with Kinda Bueno). The hot chocolate wasn't that good for £2.50 but the crepes for £4.50 each were delicious. We then ventured further into Hyde Park by Lake Serpentine after Winter Wonderland! There were lot's of swans and the police riding horseback (which isn't something I see everyday)! After Winter Wonderland we went to Oxford Street and stopped at Pizza Hut for a late lunch. I got a deep pan which was incredibly filling (I couldn't move!). We then paid Hamleys a visit which was so packed it took ages to go round the whole shop! Infact the streets were so packed that people had taken to walking in the road! I have no idea if this is the norm or not! Finally, a visit to London isn't complete without stopping off at the Kiko store on Regents Street. The atmosphere in there was incredible, it was full of people swatching lipsticks. I got an eyelash curler, to replace my Elf one that broke. Plus a Smart lip pencil in 710 Rouge Noir that was on sale from £2.50 to £1.90! It's back to £2.50 here but it's the perfect shade for a dark/berry lip. I'm pretty sure I'm going to love this liner, I had brought an essence lip liner in 05 Soft Berry but it made me look like I had grey lips. I also got a Smart lipstick in 914 Amaranth which was on sale from £3.90 to £2.50. It's back to £3.90 here but it's a lovely berry/vampy lipstick. Lastly I got a ultra glossy stylo with spf 15 in 807 Red Coral, which was on sale for £3.50 from £4.90 here. It's actually a present for my Sister as she wanted a more sheer lipstick that was moisturising. She dabs this on and it looks lovely, like a soft coral but not overly glossy. This all come up to £13.80 however it was also Black Friday weekend when we went so I checked the website beforehand and saw they had a 30% off code which I got sent in an email. So overall I paid £9.66 for all of these goodies! There'll be a full review on each product once I've tried them out for a while. Overall, I had a great time and I'd definitely recommend it. I'd love to hear if you went to Winder Wonderland or if you picked anything up from Kiko recently too! Those lipsticks are so beautiful - love the colors!! Looks like you had a really fun time! I love visiting the circus, I bet the one there was really entertaining! 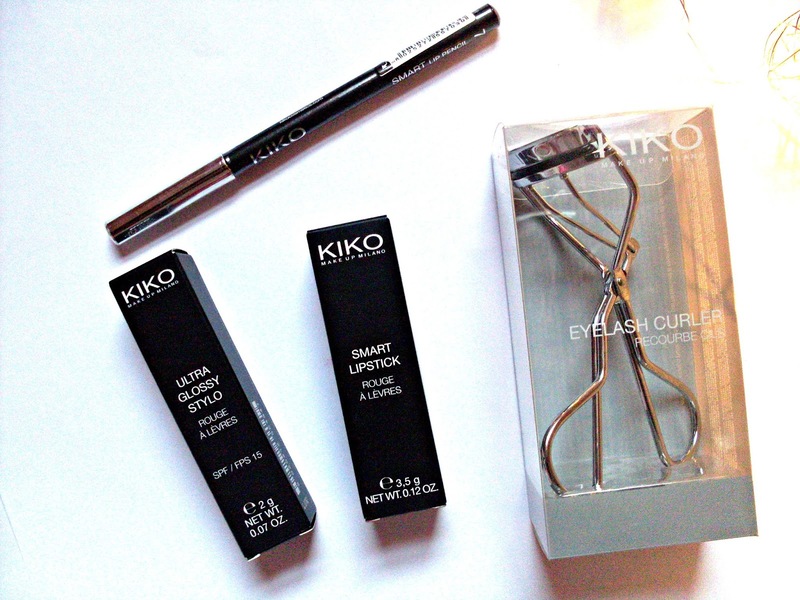 Also, I love what you picked up from Kiko - I had no idea it was so affordable! Looks so fun and festive! I went to our local German Christmas Market which was quite small but got me in the mood for the holidays for sure. Love your haul too! That's Pizza Hut pizza?!?!! Looks freaking fabulous. This looks so much fun! Is it bad I spent like 5 minutes just drooling over the pizza?! I love Winter Wonderland, the first time I went it snowed while we were ice skating! I don't think there was a Zippo Circus though. That pizza looks so good, I swear Pizza Hut never gives me pizza like that! 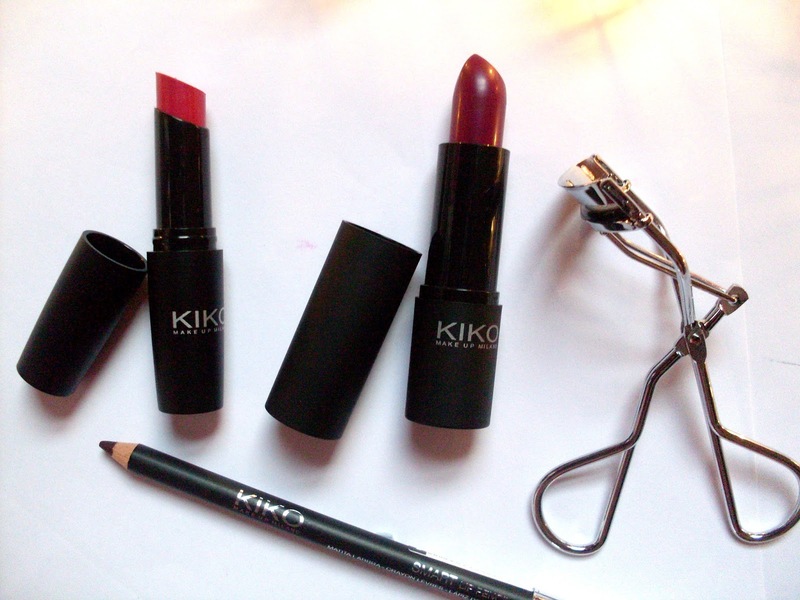 I love Kiko products they are awesome and the winter wonderland look so pretty and a lot of fun! Looks like a lovely day, I really want a pizza now :) Happy New Year! I love your blog and I have followed you with Bloglovin and GFC. If you ever get a chance to check out my blog I would be delighted, thanks! Winter Wonderland looks fab! I went a few years ago and loved it. Must go next year! Sadly I have never been to Winter Wonderland, but I have visited Zippos Circus a few times.. I've never been to winter wonderland before but I really want to go this year! Wow yummy testy i like very nice post! i like this recipe i try this recipe !Industrial safety course in chennai|Industrial safety training in chennai|fire and safety courses in chennai|Iosh course in chennai|nebosh courses in chennai keep posting! Every one like this post! its perfect and lovely posting testy food preparation like this is wonderful blog! fire fighting training in chennai|nebosh safety course in India|fire and safety courses in Chennai|fire and safety course in Chennai|fire and safety training in chennai|Industrial safety courses in Chennai|safety courses in chennai nice blog post!